Blaine L. Butzberger went on his last adventure April 12, 2019. He was born in Tupelo on August 4, 1945 to George and Ruth Butzberger. He lived in Tupelo all of his life and took pride about never moving over a mile between properties. He graduated Tupelo High School in 1964. He was a long time member of Harrisburg Baptist Church. His roots were deep in this community and he enjoyed talking to others about Tupelo history. Blaine loved nature and being outdoors especially if it involved trees, dogs, horses, fishing, gardening or hunting. 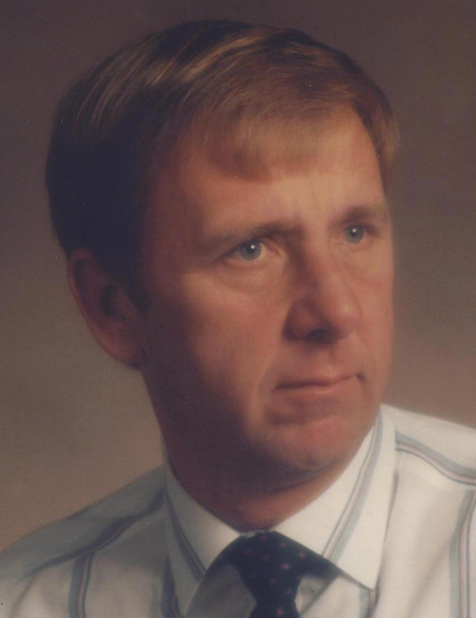 He owned and operated Local Tree Service for over 40 years in the Tupelo area. While he frequently answered the unfortunate calls related to takedowns or cleanups, his main focus was always on health, care and preservation of his client's trees. He enjoyed assisting with the MSU Extension service on occasion and participating in seminars sharing with MSU students about tree care and what it meant to be an arborist. Blaine also had a talent for riding and training horses. He had many horses throughout his life but Joe and Lightning are the most well noted. He enjoyed roping, western pleasure and halter events. In addition, he always had a canine sidekick, typically a border collie named Ted. Or sometimes a beagle for hunting rabbits, or a good setter for hunting quail. In years past, he had been an active member and three time President of the Mississippi Quarter Horse Association. He had also been an active member and director for the American Quarter Horse Association. For many years, he held one of the largest registered shows at his stable in Tupelo. The Tupelo Gum Tree Circuit was held every summer the second weekend in June. In addition to trees and horses, Blaine also enjoyed gardening. From the time he was a young boy of about six years old, he had a garden. He had a vegetable stand at the end of his drive where regular customers would buy his vegetables. In his later years, he rekindled the love of a garden once more, and this time took joy in sharing his produce for free with all of his friends and acquaintances. The payment was the smile on their face, and a short conversation if they had the time. Blaine was a lively and colorful individual, and no one that met him once soon forgot him. He was always larger than life and only had two gears, full throttle and stop. He put his heart and soul into everything he ever did and was always willing to help others.